this spicy watermelon mint and lime granita. summertime! this breakfast quinoa with stewed blackberries. so much flavor. these roasted blueberry and cream matcha popsicles. love. this lobster roll. ummm so perfect. these double chocolate almond butter trail cookies. best idea. this stone fruit summer guacamole. gorgeous. this epic birthday cake. feed me? these honey roasted peach biscuits. oh my. this fig and ricotta flatbread. those figs! this bubble iced coffee. how fun. this mini hummingbird cake with coconut buttercream. wowza. this fettuccine carbonara with green beans. craving. this hazelnut cake with fresh mint chocolate pudding. whoa. this peach pistachio caramel crumble. all my faves! this chocolate chocolate chip zucchini bread. want want. this roasted blueberry frozen yogurt. that color! these peach crunch muffins. so good. these spiked mudslide cupcakes. !!!! Love that picture! So whimsical. Also, I’m going to try that breakfast quinoa out! 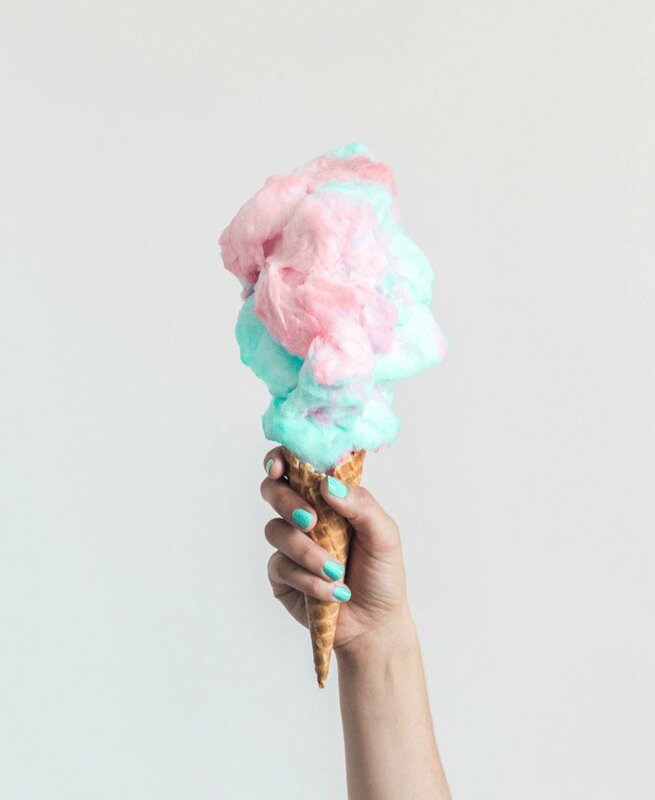 Oh my gosh I thought that was cotton candy ice cream. I kind of want it to be that. It was a great week in the world of food blogging! Want it all! Girlll, thanks for the shoutout. That cotton candy picture up top is to DIE for. I want it. Even though it’s like 9AM right now. YESS!! I’ve had my eye on that bubble iced coffee all week!! Feed you? Literally any day! Also, making that cake was so much fun, I’m just down with any excuse to do it again! I love these posts! They make me smile and give me ideas to try when i can’t think of anything. Love your blog. I made this Grilled Peach and Prosciutto Salad. And then I made it again. It’s incredible! One, that cotton candy. Two, thank you so much for including me this week! Hope you are rocking this Monday!